Walrus thanks Les Rowlands, the outgoing mayor, for his tireless contribution to the community. The new mayor is New Brighton local boy Pat Hackett, and we wish Pat every success in this demanding role. We have been treated badly in New Brighton in some ways and it is time to say so. Those who have let us down need to be identified. Mind you, before I begin to fire my salvo I ought to say that our part of Wirral is a wonderful place in which to live. There is so much beauty all around us. The coastline is a delight and how good it is to be able to walk for miles along our well maintained proms and to know, as we do so, that we have such fine lifeguards to protect us. The air quality is excellent. The leisure facilities are so good. 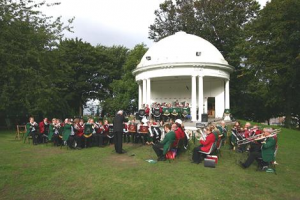 Think of our restaurants, our cinema, our Floral Pavilion and much more. The provision for health care seems to me well above average, and I can testify to this from personal experience. Also you never know when we will benefit from another local project – like, for instance, the lovely artwork which now surrounds the pumping station on Coastal drive. We have lots of reasons to be grateful, and not least for the existence of this Walrus Community Magazine and for all the hard work put in by Rusty Keane and her helpers. Yet having said all of this, we have been failed in some ways. Think, for instance of the treatment we have received at the hands of the Banks. Let’s start with my own bank. I have been with Barclays for most of my life. During the twenty one years when I was vicar of Prenton, I was regularly in and out of the local branch. I could not believe it when that branch was quite unexpectedly closed, but as by then my wife and I had moved to our retirement house and I was then banking at Barclay’s branch in Wallasey village. Then that too was closed, which meant that my nearest branch was then in New Brighton. Guess what? The Barclay’s axe fell again. It seemed to be happening here, there and everywhere in Wirral. Still we felt reasonably secure in New Brighton. The National Westminster bank was just down the road. But not for long! Here too closure was around the corner So now the fact is that, though New Brighton is a busy and bustling town, it is totally devoid of banks. It is true there are limited services at the Post Office, but even that facility has been slimmed down. The truth is that the banks have seriously failed New Brighton and many people have been inconvenienced in some way as a result. If our banks have failed New Brighton, they are not the only ones to do so. Think for a moment about the total lack of petrol stations. Thousands of car owners live in and around New Brighton, but all of them have to go elsewhere for their petrol. I used to have two petrol stations within two or three hundred yards of my home. They have both closed. I had hoped that when our excellent Morrison’s supermarket opened, there might be a facility for petrol sales. No such luck. It leaves a major opportunity for any budding entrepreneur, who may be reading this magazine. There is a real need to be met here – and a lot of cash to be made in the process. I could extend this salvo to other elements in New Brighton life. If you some of them are occurring to you at this moment, let me leave the firing-mechanism in your own hands. If you have a concern about New Brighton, why not email the editor of Walrus? team based at Wallasey Police Station. Part of my role is to provide high visibility presence to your neighbourhood, reassure victims of crime and work with partner agencies with regards to anti-social behaviour. As we are getting closer to summer and we are finally seeing the warmer months, I expect New Brighton to become busier with tourism as well as locals visiting the area. Therefore we will be working closely with residents and businesses offering advice on any on-going issues. Recently a mobile phone was stolen after being left unattended. When in restaurants and pubs please keep all valuables on your person at all times. Report any suspicious behaviour to the management. One of my roles during the summer will be preventing and tackling anti-social behaviour. Last year many youths were attracted to the area. A small minority were involved in anti-social behaviour which was reported to us and to the Wirral Anti-Social Behaviour Team. We brought in extra resources, including mounted police, TravelSafe Community Support Officers, British Transport Police, Merseyrail and Wirral Council Youth Workers. Youths were identified and action taken. There have been a few reports recently of youths congregating in Marine Park and Earlston Park and we are currently providing a high visibility presence in these areas as well as working with local businesses to deter the youths from being involved in anti-social behaviour. We will be working closely with the Wirral Anti-Social Behaviour Team to take further action with these youths if necessary. If you see any anti-social behaviour or have any information please do not hesitate to ring 101, or to report on-going anti-social behaviour in your area please contact Andy Pyke, Wirral Council Anti-Social Behaviour Enforcement Officer on 0151 604 3682. Diversionary activities will be taking place in New Brighton. Colin Hunter from Wirral Council Sports Development will be looking at providing football at Tower Grounds during half term and weekends. Rampworx trips have been provided with funding from the North Wirral Crime Prevention Panel in association with ourselves. We are currently looking at further activities for youths during the summer. Please check our twitter page for any updates of activities in the area. If you have not done so already please sign up for MerseyNow to receive crime notifications and community news in your area. This is quick and easy to do at www.merseynow.org. Just before you drop that stuff on the ground, take a good look at it. Just a Polystyrene chippy tray? Just an empty plastic bottle? It’s going to be around a lot longer than you: maybe 500 years longer. Dropping it on the ground or on the beach is wrong. It’s not somebody else’s job to clear up after you: you are responsible for your rubbish! Are you about to throw away that food? What? It’s past its sell by date? Just because your local Supermarket would bin it, you don’t need to. Supermarkets bin thousands of tons of perfect food every day. It doesn’t have to be like that and certainly not in our own homes. That family a few doors down the road. They are on their way to the food bank while you are binning food. So what have you just found in the back of your clothes cupboard? Not going to wear that again? A bit out of style? Ah, you bought a new one. Nice. So what are you going to do with this old one? In the bin? Seriously? The charity shop down the road could sell that for a couple of quid, and make someone who can’t afford brand new clothes very happy, and you’d be helping a charity as well. For years we have lived in an intense consumer-driven and throwaway culture. We throw away food that is still edible, bin clothes which are fine to wear, scrap electronics because they are not the latest version, and consign perfectly good furniture to the tip because it’s the wrong colour. We are literally throwing it all away and it ends up on our streets, in our parks, on our beaches, or along our roads and in landfills. We stand at the edge of a rubbish Armageddon. But out of overwhelming necessity, we are finally starting to realise that we cannot remain a consumerist and throwaway culture for ever. It is completely unsustainable. Many of the resources we have on this planet are finite and will eventually run out, and the natural resources we do have, we are poisoning. During the past few months local residents may have noticed a distinct change in the shopping parade in Seabank Road. 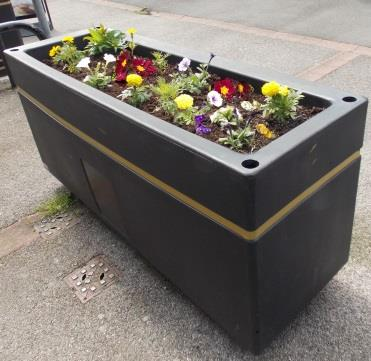 on the work of the Seabank Town Team in repainting the canopies and the continuing efforts of local resident Albert Ellis and others in maintaining the benches and planters.. Of an evening the shopping canopies are also lit up, creating a more secure and friendly atmosphere. 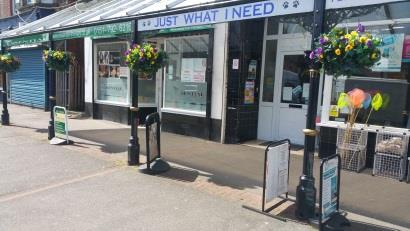 Seabank Road is a high street expanding with many interesting and varied goods available. It is becoming something of a Portobello Road. The Seabank Experience also leads into Victoria Road with its many shops and restaurants. Take a turn downhill off Seabank and it takes you to Vale Park, or go the other way to the Rake Lane shops. 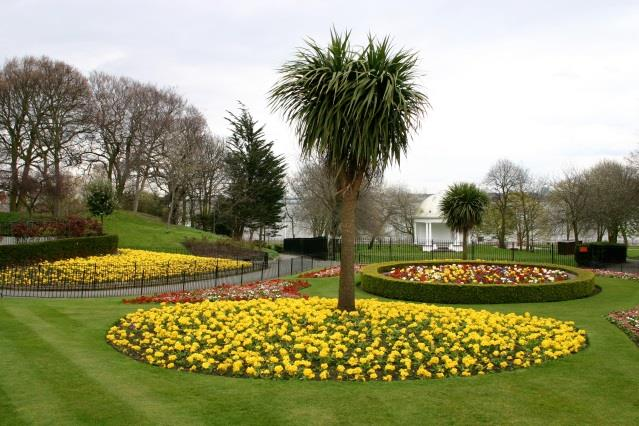 You will be surprised at the sense of community in the whole area, and all a stone’s throw from New Brighton promenade. Blue Lounge at the Floral Pavilion in New Brighton. As always on these occasions, you will be encouraged to join in with tapping of feet, clapping of hands, – even singing along – to our varied and enjoyable programme of songs. Our Choir is a happy choir. We love to sing. To sing for an audience is even better. So please come along and enjoy some well-known and well-loved standards such as ‘Beyond the Sea’, made famous by Bobby Darin, or the traditional Maori love song, ‘Pokarekare Ana’. Our song list is diverse to say the least! Pre-booking required: Please phone 638 0069 before the actual day & leave your name & contact number. 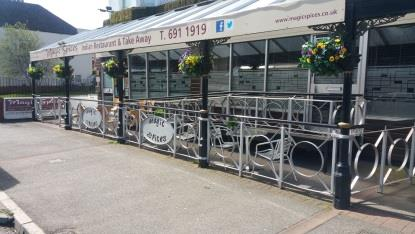 Last year was a great year for Vale House Café attracting many new customers along with the regulars. We have seen an incredible increase in private party bookings for the Tearoom, with Baby Showers, Birthday Celebrations and Retirement Gatherings, along with increasingly popular Afternoon Tea Parties, both for adults and children. A full colour brochure is available at the café for details and the staff are happy to discuss individual requirements and confirm bookings. Please contact early to avoid disappointment as weekends reservations are popular. Telephone enquiries welcome on 0151 638 2666. The Vale House Board continue to work with Friends of Vale Park to ensure we provide the best possible cover to accommodate increased custom when the ever popular summer Bandstand events are booked. Please remember Friends of Vale Park are entitled to 20% discount in the café on production of their current green membership card… and applications to join The Friends are usually available in the café. We are currently serving Afternoon Teas at £8.00 each or two for £15. Bookings preferred to ensure we have your favourite choice of sandwiches and cakes available. In addition to our regular Monday and Friday Lunch Club, which you are welcome to join by phoning to book a place, we are offering Pensioner Meals at £3.00 for two courses on Tuesdays, Wednesdays and Thursdays from noon to 2:00pm. 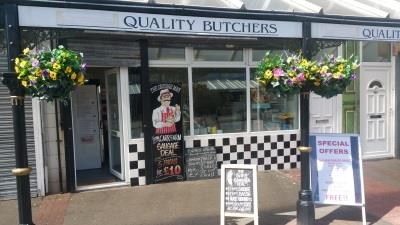 1a Hope Street, New Brighton CH45 2LN. Tel/Fax 0151 630 2626. New Brighton One Stop Shop open Monday to Friday from 11am till 3pm. Free phone facility and private rooms with a loop system for the hard of hearing. Assistance on all the Wirral Borough Council services, including the Pension Service, Age Concern & the Citizens Advice Bureau (CAB) which also operates advice surgeries once a week for the Polish Community and offers them vital assistance. Computer Suite Free internet and email addresses for local residents looking for work, help with CVs, job applications, advice on free travel and searching for jobs. Also scanning documents, photocopying and fax. Art Classes Monday 1-3pm. Enjoyment rather than talent. Tuition, all materials provided. Details 638 8472 . New – An Introduction to Buddhist Meditation – Everyone welcome – no experience necessary, suggested donation £3 per session – Every Friday morning (downstairs) 11.30am – 12.30. New Class – Pilates Thursday 1pm – 2pm. After a happy celebration of Easter we look toward the summer, especially our summer BBQ on July 3rd. Toward the end of July, 5 young people are going to the international gathering with Pope Francis in Kraków. Every 2 or 3 years, World Youth Day calls young Catholics to come together with the Pope to celebrate our faith. We look forward to Fr Phil’s 50 th birthday party at the end of April. Friday 9.15am (Shrine church); Saturday 6pm; Sunday 9:30am & 11am. Now the scaffolding is down & the ground is not a building site, there will be an all-day Summer Fair at St James Church, Albion St, New Brighton on Saturday 2nd July. There will be the usual favourites such as the cake & jam stall, craft stall, face-painting and a bouncy castle, plus the Grand Raffle and many ‘surprise events’. If you would like to book a table please contact Julia Codling on 639 5468. The Church Summer Fair will be held at Emmanuel Church on Seabank Road (opposite The Flying Dutchman) on Saturday 25th June from 11.30am to 2pm. -White Elephant, Toys, Books/DVDs, Cakes, Bric-a-brac, etc) Tombolas, Games etc. If you’ve been looking up to the sky from almost anywhere in New Brighton over the last few months you can’t have failed to see the work going on to the spire of St James’ church. 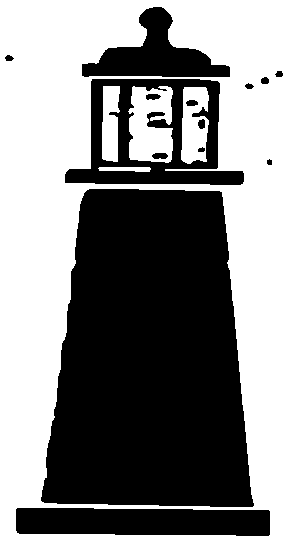 The 172 foot spire of the Grade II listed building had become unsafe and it needed to be rebuilt. The old spire was encased in scaffolding. Then the scaffolding came down, bringing the carefully dismantled spire with it. Then up went the scaffolding again as the spire was rebuilt. Much new stone had to be used, and many of the spire’s lost original features were restored. 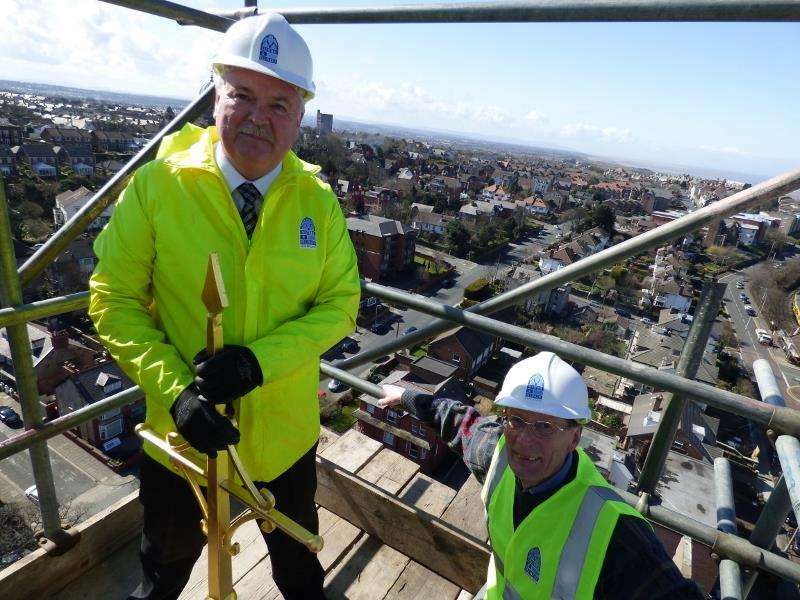 On 31 March the work was completed when the Mayor of Wirral, Councillor Les Rowlands, put the new gilded cross in place at the top. Now all the scaffolding has been taken down again, finally revealing the restored – and safe – structure. To mark the completion of the work the parishioners have published a new booklet about the church, describing the history and architecture of St James’. The church was part of the vision of the founding fathers of New Brighton, and the history of the town is closely intertwined with the history of the church. The booklet explores those links and includes a beautifully photographed guide to the main features of the building. 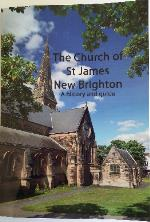 This 24 page booklet costs £3 from the New Brighton Heritage and Information Centre which is located in the church. Free debt counselling in your home from an award winning charity …. CAP Wirral Debt Centre, based at St Mary’s Church, Upton, opened in October 2012, and our Debt Coaches have helped many people across Wirral to become debt free; breaking the isolation that debt and poverty can bring and regaining self-esteem, confidence and making new friends. CAP is for anyone regardless of their religious beliefs: We monitor our services to ensure that everybody receives the same caring service regardless of race, nationality, religion, age, gender, marital status, sexual orientation or disability. Our service is completely free as CAP is a charity and receives donations from Churches and individuals who want to help people. detailed paperwork as we stand before them with our clients. If you need help, or know someone who does, please call free on 0800 328 0006 to arrange a first appointment. CAP have just launched this new service after trials run at the end of 2015. New Brighton Baptist Church who have partnered with CAP for over four years, running regular CAP Money Courses volunteered as one of fourteen Churches nationally to trial the new Life Skills group and the results were amazing. “A friendly group where you’ll discover the life skills you need to survive on a low income“. The format is based around community, course and coaching. There’s so much we can learn from each other. Everyone finds dealing with the pressure of life a stressful and lonely challenge at times. Opening with refreshments helps people begin to relax, meet others in similar situations, who can then begin to understand and encourage one another. want. We learned a simple song to sing together, as singing is renowned to be good for your health. Each week we offered a free meal, whether our own prepared soup, or cooked with given food. Sharing time in this environment encourages chat and there is always the opportunity for one to one support from the Coach to help members think about spending choices. Working towards building a simple budget, gives better control over your money and lightens the pressures money can bring. At the end of the first trial, two members said the best part of the course was breaking their isolation; getting out, making new friends and changing how they thought about financially managing their benefits. This course is completely free and open to anyone, as are all our services. The next course is scheduled to start 10:30am Thursday 2 June at New Brighton Baptist Church, Seabank Road CH45 1HE. Please call Shirley Bowen on 07816 563688 if you are interested in joining us, or would like further information. See also www.capuk.org for more about the charity.